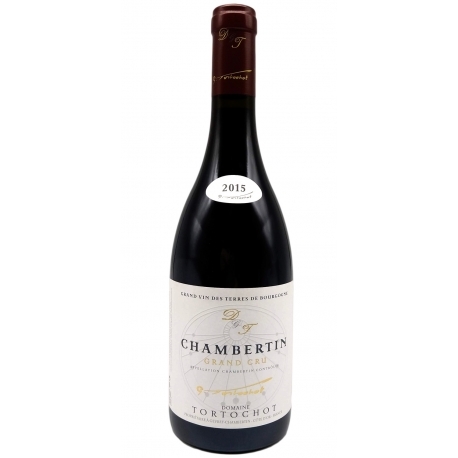 A Chambertin Grand Cru from the magnificent 2015 vintage made by Chantal Tortochot. The plot is located on a beautiful location: installed in the upper part of the appellation, it is whiter and marly. This has the effect of slowing down the vegetative cycle and giving this wine a royal and rare balance. At the same time delicate, round and powerful, it offers an extraordinary bouquet which will mix aromas of red fruits, licorice and leather. Its structure allows it to age well at least 10 years, up to 40 years or more some great years. Chantal Tortochot is part of a new generation of producers of great Burgundy wines who wish to respect the terroir and the vines as much as possible while leaving as much as possible the wines to express themselves. Adepts of less interventionism, the Tortochot domain is in organic farming since several years. In addition, the wines are neither filtered nor glued. - Gevrey Chambertin "The Young Kings"
The Grands Crus of Gevrey-Chambertin are iconic Pinot Noir wines; powerful, virile, complex and intense. They demand equally complex, hightoned dishes to keep the pairing in balance. Feathered game (grilled or, better still, in wine sauce) will, of course, be a worthy companion. The power of the wine’s tannins will withstand the shock of contrasting textures while its aromatic complexity and above all its opulence will bring out the differences. Roast lamb in gravy, chicken in red wine sauce, glazed poultry, and rib steak will also benefit from the match, not forgetting soft-centred cheeses which will get strong support from the wine’s power and aromatic persistence. Serving temperature: 12 to 14°C for young wines,14 to 16°C for older wines. 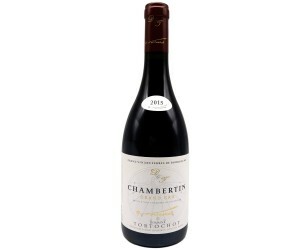 Gevrey-Chambertin lies alongside the Route des Grands Crus at the northern end of the Côte which runs from North to South between the Combes of Lavaux at one end and Morey-Saint-Denis at the other. It can be likened to a Cinemascope screen, facing east, at altitudes between 240 and 280 meters. The Clos de Bèze first appears in the history of the Côte de Nuits in the year 640 AD as a monastic property. In 1219 it passed to the canons of Langres, who retained ownership until the French Revolution (1789). The name Chambertin has been used since the 13th century and once shared imperial approval with Clos de Bèze - Napoleon would drink nothing else. Its boundaries have not changed since the Middle Ages. In recognition of their similarity, the 7 Climats adjoining those of Chambertin and Clos de Bèze attach the name Chambertin to their own names (except in the case of Clos de Bèze where the name Chambertin comes first). Grand Cru status was officially granted on 31 July 1937.